New uses for old: renovation and conversion of 16th century hall to form public house and restaurants. The project included the renovation of a Grade 11* private Chapel and Priests House attached to the main hall following careful negotiations with English Heritage. 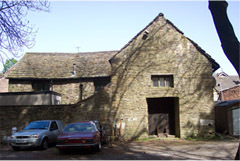 The group of buildings had originally been built as a Hunting Lodge for the Earls of Chester and have subsequently been used as a convent, a private house and a country hotel.